Ellipse is an oval shape quite similar with that of a circle but is elongated. I already posted articles related to solving for the area of a square, circle, rectangle, triangle and etc. 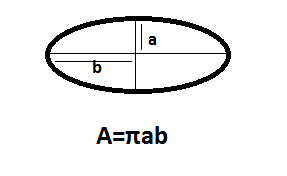 The formula of the area of a circle is somewhat similar with that of the ellipse. Try PHP Ellipse Area Live Here! Visit Java Solve for the Area of Ellipse here. Given: a= 4 and b=5 and we will just used the math function for pi.